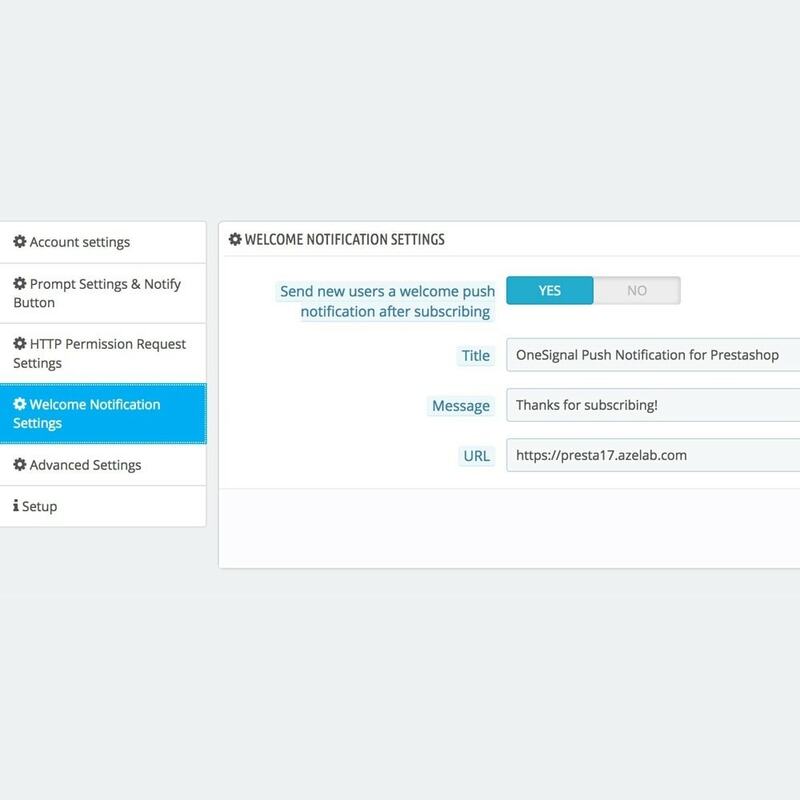 Boost return customer traffic and sales by sending Web Push Notifications. 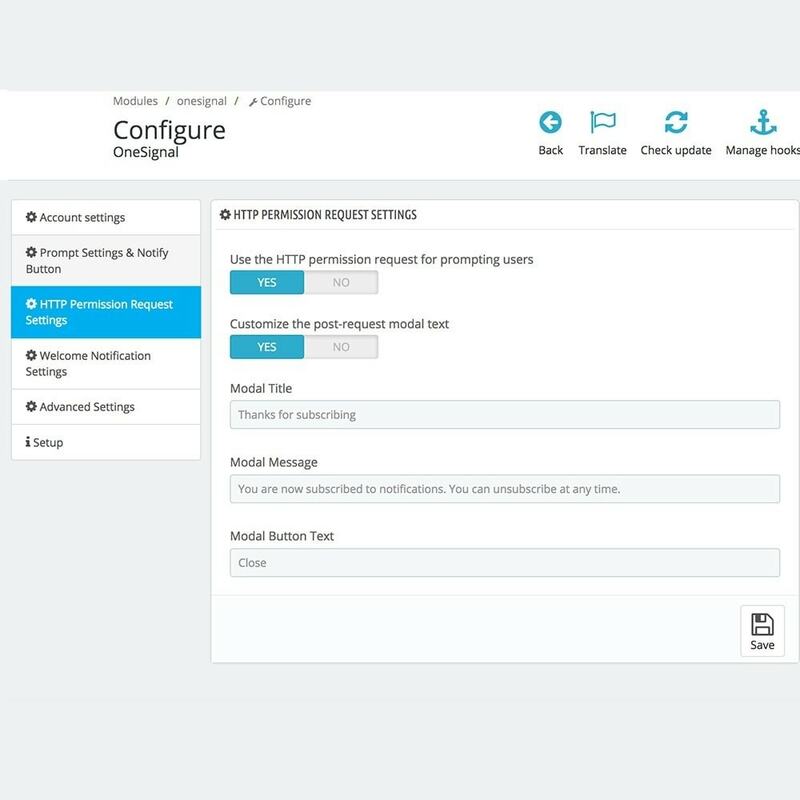 One Signal allows you to send instant notifications directly to visitors' devices even after they have left your store. 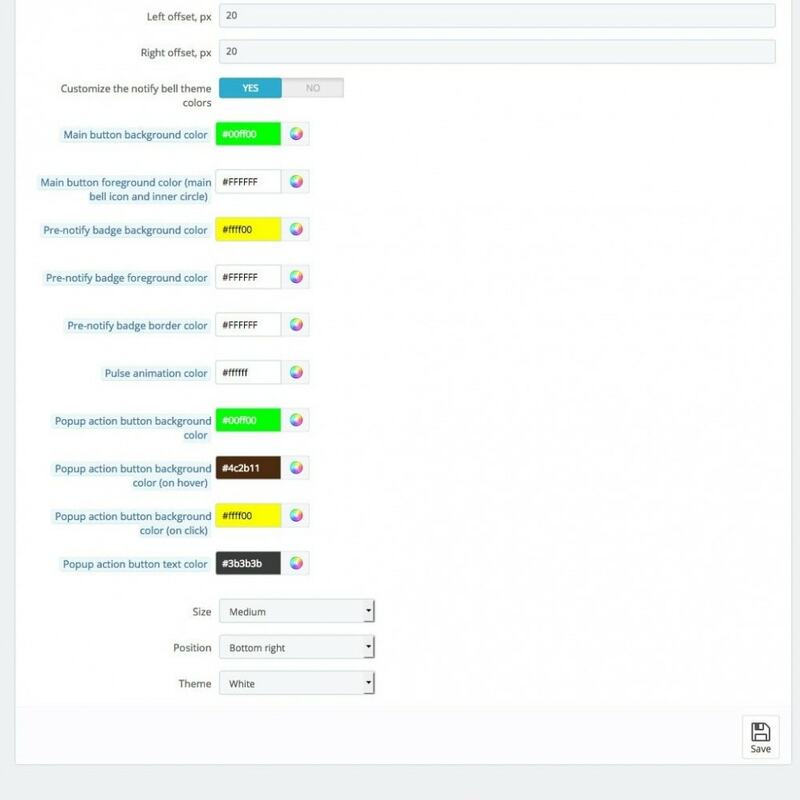 Engage visitors without emails or mobile app. 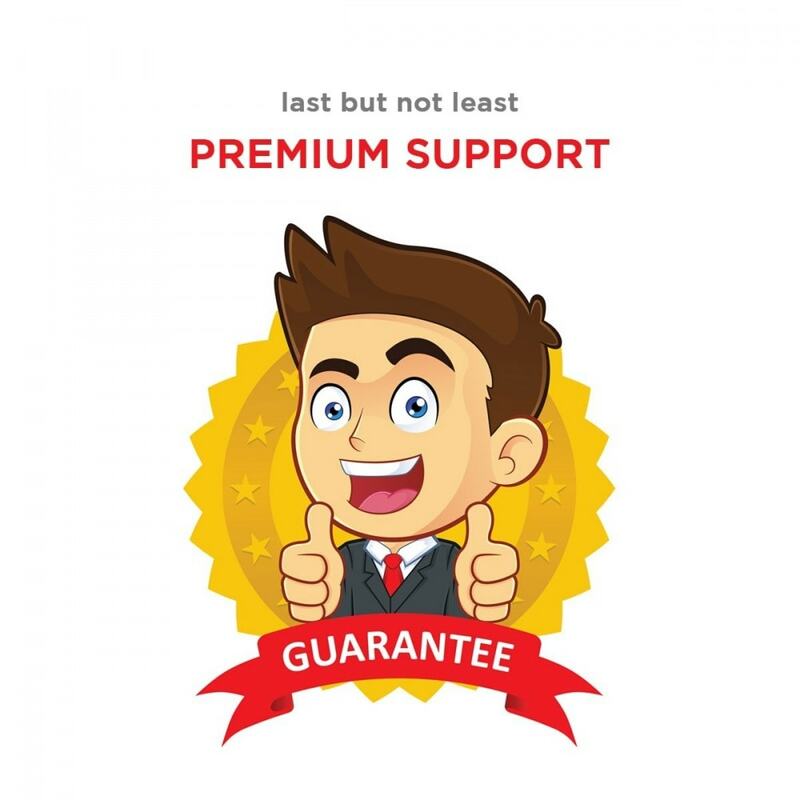 Send notifications for back-in-stock, discounted products, campaigns an so on..
Push notifications have proven to be more effective in engaging users compared to emails, with significantly higher open and click rates. 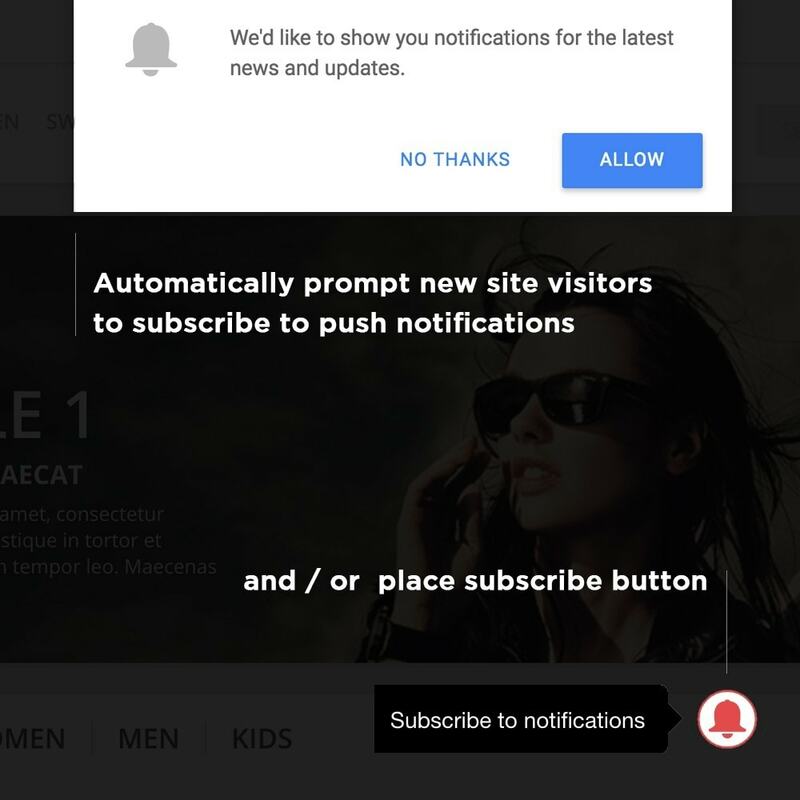 In short, browser push notifications can complement traditional marketing techniques like sms, phone and emails. Thanks to the dip in the open rate and click rate in the last few years, email marketing has been slowly dying. To add to that, there was the trouble of low opt-in rates. 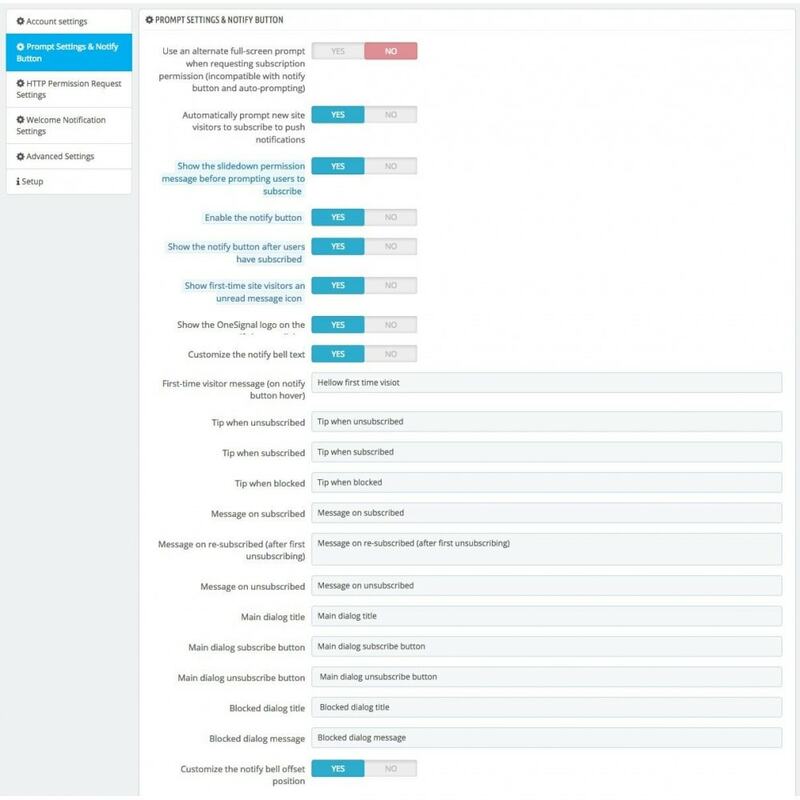 Well, say goodbye to all those worries with push notifications which by design come with higher opt-in and clickthrough rates. 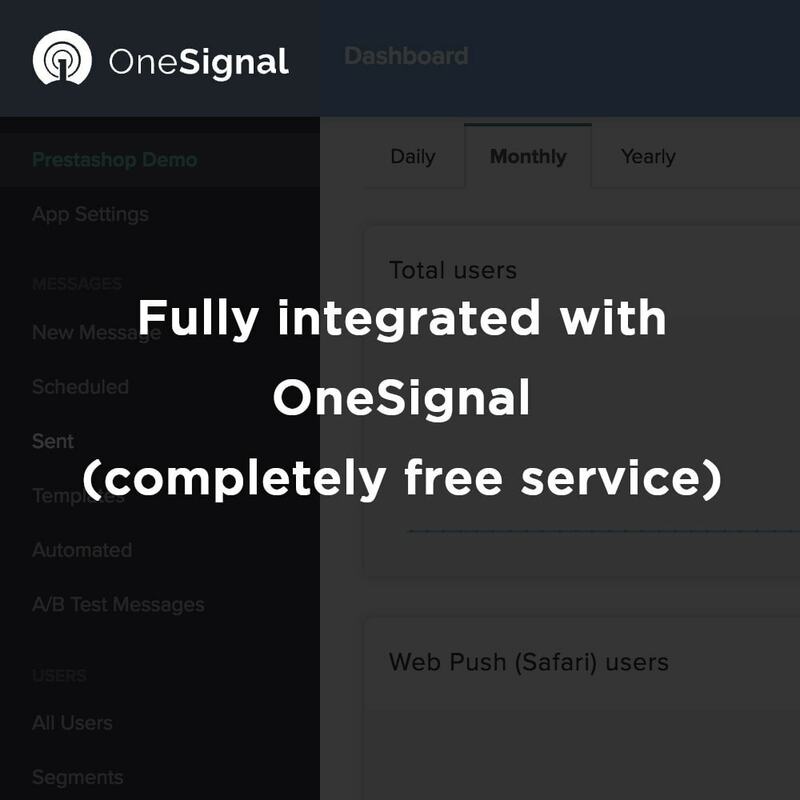 OneSignal module is easy to setup and connect to your OneSignal account. 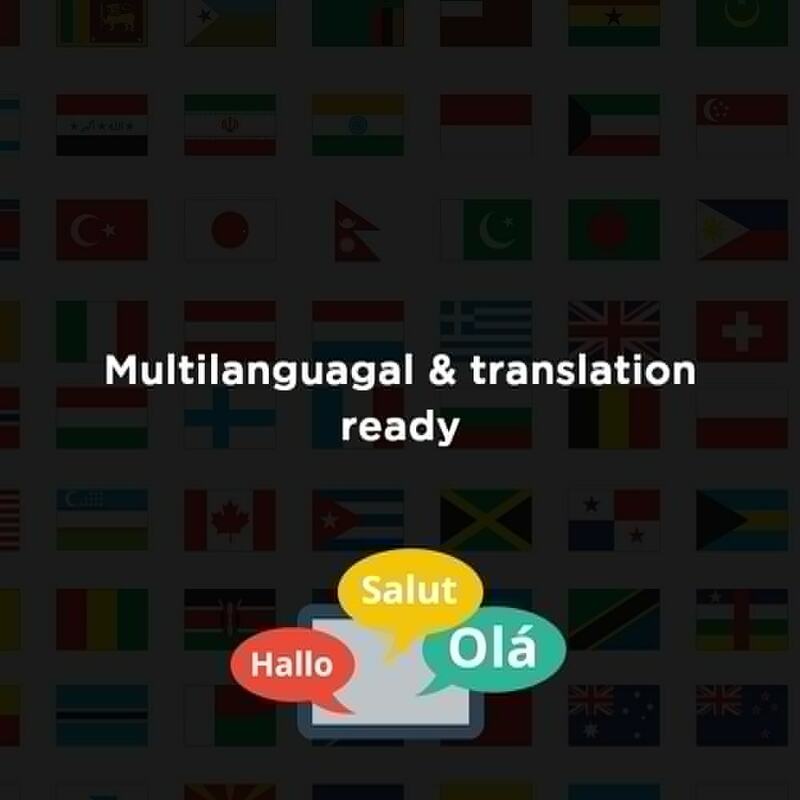 It come with all necessary settings to customize and localize per your needs. 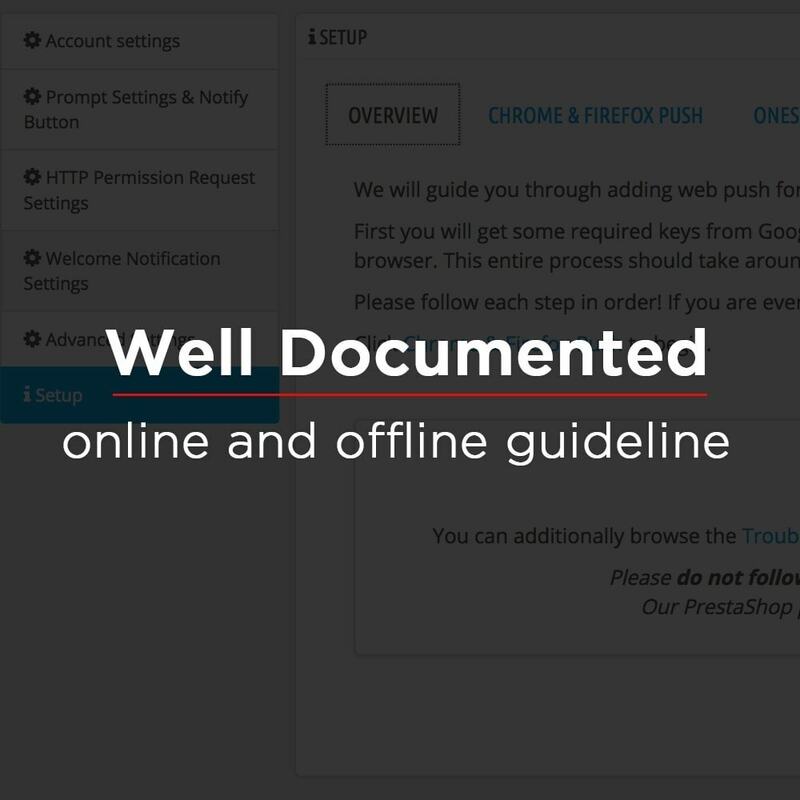 Supports Chrome (Desktop & Android), Safari (Mac OS X), and Firefox (Desktop) on both HTTP and HTTPS sites. 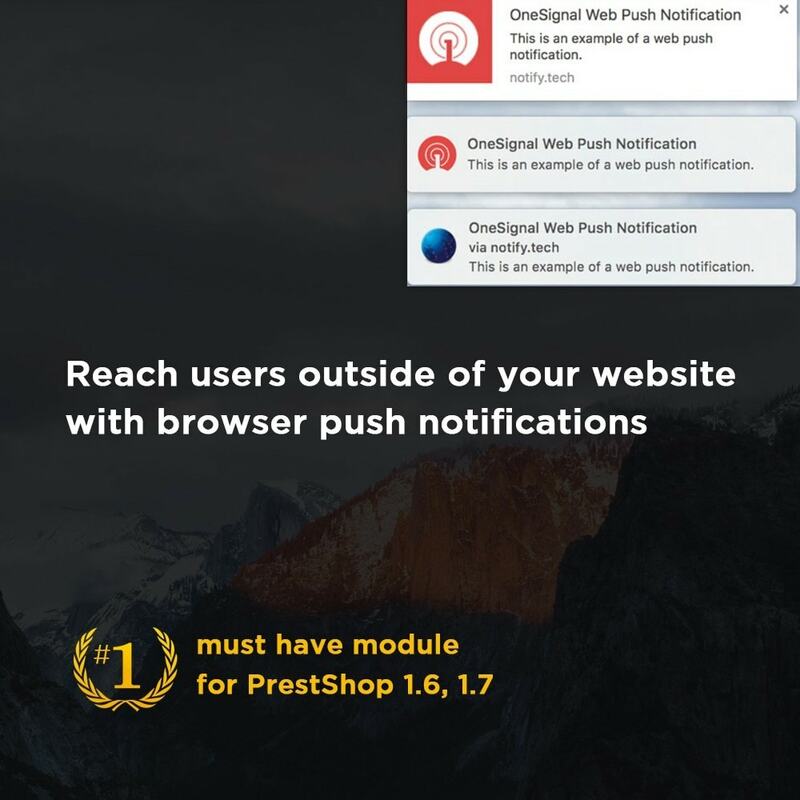 One Signal is #1 Free web browser push notification service among it's competitors - pushcrew, sendpulse, pushengage, pushed, push monkey, delite studio, roost and others. 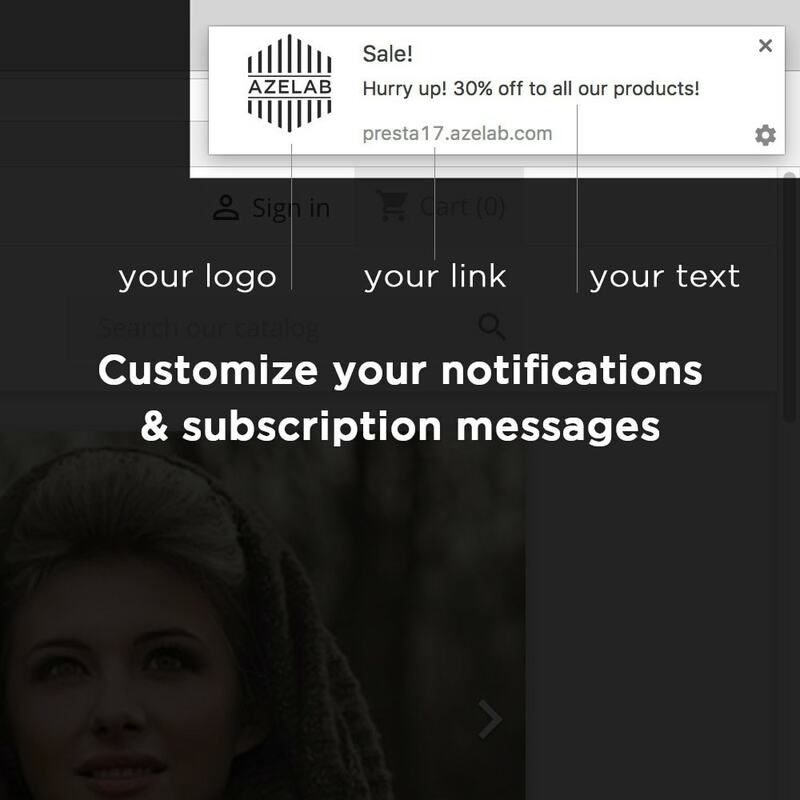 Get notifications of discounts, promotions, and other profitable information even if you are not in website. Module installed in regular way. 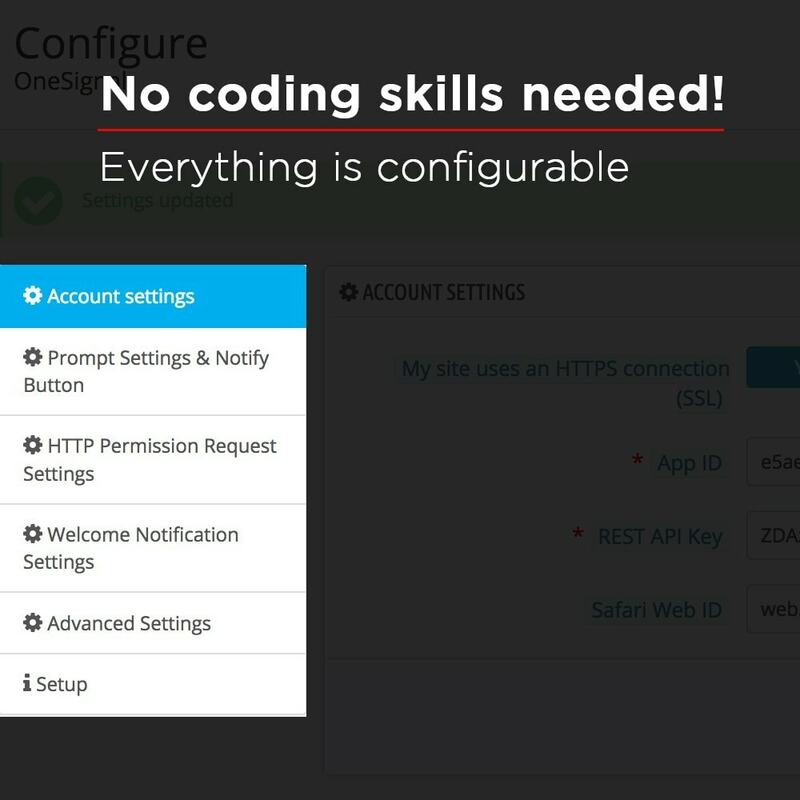 Before installation make sure you have OneSignal account ready.